Nanayakkara’s complaint points to several cases of defrauding large scales of public monies established before the Supreme Court, which had ordered prosecution by the law enforcement authorities. He claims that while prominence has been given to similar allegations made more recently, the Police has failed to act on his complaints. The cases referred to include the Water’s Edge affair and the Lanka Marine Services case where former president Chandrika Kumaratunga and her close associates are implicated. I attach a copy of Letter dated 28.6.2017 which is almost one year ago addressed by the Secretary, Ministry of Law & Order. Mr. Jagath P. Wijeweera to the Senior DIG, Financial Crimes Investigation Division, which had been upon my attached Complaint dated 11.10.2016, with copies of relevant Documents. This refers to several Cases of defrauding large scales of public monies established before the Supreme Court, which had ordered to prosecute by the law enforcement authorities. Whilst clearly for political reasons prominence is given to recent similar allegations, my Complaint which was established by Supreme Court findings of illegal and fraudulent misappropriation of public funds remains without any action. 1. Water’s Edge Case in which some of the persons involved are former President Chandrika Kumaratunga and her close friends Ronnie Peiris and Sumal Perera who colluded in doing the deal with others. 2. Lanka Marine Service Case where Colombo Port Oil Facility Sale was found fraudulent with main parties involved being former President Chandrika Kumaratunga, John Keells Directors particularly Susantha Ratnayake and others and then BOI Chairman Arjuna Mahendran. In the above Case Tax Holidays had been given by the then BOI Chairman Arjuna Mahendran for John Keells for the purchase of Lanka Marine Service Ltd., which had been held out as a new investment which was not the case. Supreme Court cancelled the BOI Approval and directed Inland Revenue Authorities to recover income taxes. Interesting aspect is that fraud committed by Arjuna Mahendran, who is now involved in the Bond Scam, was disclosed by me in the Supreme Court, regardless of which, Hon. 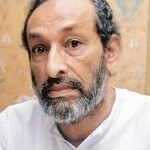 Prime Minister Ranil Wickremesinghe had appointed him against the President’s wishes, as Governor, Central Bank. Significantly, the then Prime Minister Ranil Wickremesinghe had forced the Chairman SLPA to sign the Agreement on the Sale of this Government property which he had signed two weeks after the others had signed. Copies of SLPA Board Minutes in this regard had been produced by my Counsel M.A. Sumanthiran, Attorney-at-Law and the Attorney General had confirmed their authenticity. President Chandrika Kumaratunga had signed the Sale Instrument of the Port Land for Rs. 1,199 Mn., whilst Treasury had confirmed to COPE that no such monies had been received, making such Grant Instrument fraudulent. In any case Port Authority Land could not be sold and therefore the Supreme Court annulled the same. 3. Sri Lanka Insurance Corporation privatisation was annulled as a result of the Case I had instituted in the Supreme Court in Case No. 158/2007 where valuable public assets were appropriated by a fraudulent transaction. Main parties involved were Distilleries Consortium, Harry Jayawardene, Aitkens Spence Rajan Brito, Auditors Ernst & Young and Consultants PricewaterhouseCoopers. Technical Evaluation Committee had permitted parties not evaluated to be included in the bidding process, and later it had been sold to different parties, one company incorporated in Gibraltar, controlled by Harry Jayawardene. Prime Minster Ranil Wickremesinghe had been a Respondent in my Action and in fact he had opposed such action to recover the fraudulently misappropriated valuable national asset of Sri Lanka Insurance Corporation, to which he now makes political appointees. 4. I also included a Complaint against President Chandrika Kumaratunga for misappropriating public monies over Rs. 600 Mn., the day before the Presidential Election which had been promptly stopped by President Mahinda Rajapaksa. Relevant papers had been included. The names of the parties involved are disclosed in the Documents. 5. I value the above properties fraudulently appropriated at around more than Rs. 200 Bn. 6. I am surprised that even the Attorney General has neglected to take any action despite Supreme Court Directives. For once you are right Mr. Velichha Wattakka. Lets move on with the Tsunami Fraud and Avant Guard. Yes correct! What about the Ghastly murders committed by your former boss. I agree there are lot of fraudulant cases outstanding including the recent Newyork Times fraud. Finally Vasu is launching his class warfare, but his conception of the class system is slightly different from the Marxian model. 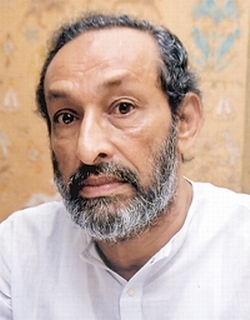 Because he also draws from the cutting edge social theory of the 21st Century – Mahinda Chinthanaya. combred Vasu. No one will be punished under Ranil Sirisena alliance.If police cannot find the crooks during last three years will they find things took place 10/15 years ago. When Rajapakses robbing the company where were you.. when 18th amendment was passed where were you. when you were in the then government wasn’t there a n I GP< AG and other judges. for you to take action against Chandrika. As sir John K said there is no fool like an old fool. You have a good brain . and good mouth. Unfortunately they are not synchronized ! Well said. This fake Marxist is the one who connived with MaRa in impeaching the first female C.J. of the SC of SL besides facilitating the passing of the un-democratic 18th Amendment of the constitution of SL. Manu (aka Lenin) – I agree. Sillysena and Ranilpaksha won’t take action to punish the Rajafucksha’s according to the “MOU” on January 2015. It is the same s..t different names! Vasu complained to FCID and Police some two years back. The Police is known to be naughty but to Vasu? Naughty naughty naughty indeed. But why did Vasu keep quiet all these days? Naughtier naughtier naughtier. I totally agree with Mudson’s comments. I think it is high time to Import International Judges. Srilanka is a failed state by now. Already 4 Sinkhala judges have withdrawn from Hearing Gotler’s case. The four judges who recused themselves from hearing Gota’s case should be charged for obstruction of justice. Gota is the ultimate Sacred Cow! Vasu: You are a FRAUD to your own conscience and those ideals you inherited and possessed from all those who wanted a different and a much better country than today. I know well how you cultured those ideals from your school days at Richmond College, Galle. But, just take back your thoughts to those “Yesterdays” and recent years and tell me in whose “Company” you are today to write this letter and ask for “investigations” and “Action” from the Law Enforcement. Even if you are to remind yourself all those “Past” and “Present”, I am certain, you in your “Present” state of mind set, you will never cry in shame like some of your colleagues still among the “silent” few. Please ask yourself, how many cases you would have filed in courts against all that “Army” of “ROUGES” you associate today and fight nail and tooth, starting from that (“Nugegoda Man”) to bring them back to govern this country. You may “Win” elections and enter the Legislature with that set of “Rouges”; but just address your conscience (if you have one such) and asses the net result of that “winning”. Althoug, I ask you to do that, it is obvious, you in your present state of mind set, you will not feel ashamed. I said all this to convey to you that, this letter is in reality a FRAUD to deceive the Public aiming at 2019 & 2020; but not in anyway to contest the matters contained therein. Welcome back Mr Velichha Wattakka! Vasu- the waters edge stuff is peanuts compared to what your good mates the robber barons of medamulana did during their regime. Get your priorities right and start with the biggest fish the rajapakses, a list so long that this page is not sufficient to print. You have got your knickers in a knot and don’t appear to understand the difference between your elbow and arse. Time to retire form active politics as your expiry date is long surpassed and you are a waste of time and space. Join your mates the medamulana rogues in meditating at the temples. Might restore some of the brain cells. 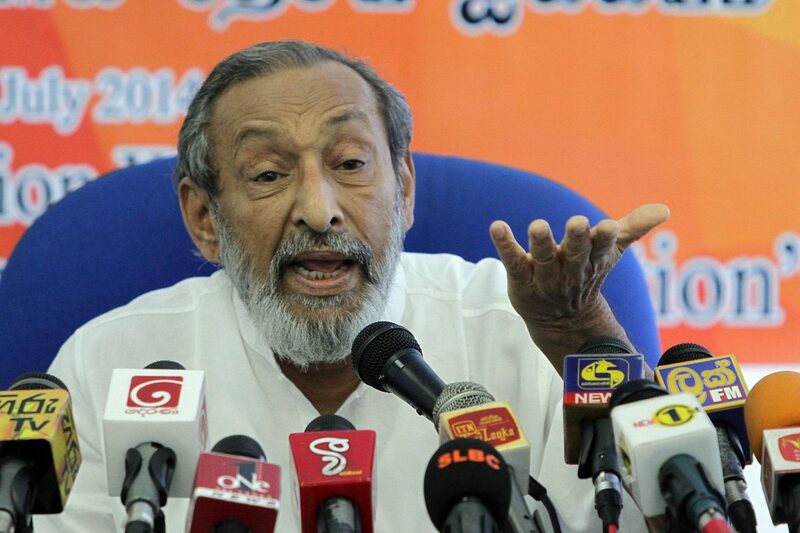 Ven.Arse – giriya Monkee, I totally agree with you. Shingala Judgers Vaanaa!. Foreign Judges Onaa!. The Government should import – Duty free & pagaa-proof – judges from anywhere other than China and USA, immediately. I never had much faith in your socialist rhetoric & was even outraged when you were brought back to Parliament through the back door. As far as I am aware, you were just another loud mouthed crony & a hypocrite, happy with the crumbs thrown at you, & in fact, well past your sell by date to expect any significant contribution from you as a politician. In my opinion, you are just another parasite living off the people of SL. Anyway, you seem to have suddenly woken up from a deep slumber but still, it’s commendable of you to bring up old dirt because we have forgotten the high jinks of CBK & Co. with the current mega frauds. Just because the current level of corruption has increased exponentially, the corruption of previous regimes should not be shoved under the carpet. If you can expose the truth & get the judiciary to act on your allegations, I will raise my hat & change my opinion of you. I thought he was fighting the Bonapartistes and now it appears that he has joined them. I thought Vasu was fighting the Bonapartistes and now it appears that he has joined them. Vasu is an honourable man. Next time he will bring up all MR works. Agreed Vasu! But what about the previos years where your king stole money. I am assuming old age is causing you selective memory. All you politicians are filthy fraudsters. Its about time the judiciary started recovering the robbed assets of this debt ridden nation where all citizens suffer for the wicked sell out of the politicians, past and present. They need not cover up that they are not answerable for. There is justice for righteous living and the courts should make these robbers/criminals pay for their crimes, before they come back to complete their jobs and us. Fearless judges must stand for justice, law and order to uplift nation from insane/ignorant religious and laity. Vasu IS explaining that CBK govt was corrupt and was stealing. Ranil, Maithripala sirisena Yahapalana govt was corrupt and Stealing and they should be prosecuted. but, as he submitted the letter in late 2017. IT looks it is very political and is preparing for election. Vasu doesnot complain about his Allience – BOSS Mahind arajapkse. VASU does not say whether he and His wife got bond Scam profits. Any way, Vasu is a very smart politican and he scored a lot with Mahinda Rajapakses (one of the two advisers to Gotabhaya Rajapkse) and definitely he will get a minister post in Gotabhaya Rajapakse govt. How about prosecuting all those who accepted Rs. One Million each from Perpetual Treasuries – including all MPs ? All of them would be convicted of fraud and go to jail, the parliament would become empty, necessitating a new parliamentary election. This time, all those who contest must bare assets publicly, before filing nominations – like in Tamil Nadu. Then, we will at last get true representatives of the people. Vasu Pakkaya lasted beyond the century of the Communist experiments. When USSR crumbles Vasu Pakaya got the Passport. When Old Royals bit the sand, Vau’s Visa was confirmed. The problem is he is adamant to get on to board with his pet communism. Though an anti-religious communist, because he is an ardent propagator of Sinhala Buddhism- no BYE BYE- but Piyittu Vaanga! There is enough evidence by witnesses to give a verdict for most of these cases. They have been dormant for a while now. Blame must go on the judiciary system as they are either corrupt, biased or forced not to make a move as their lives and reputation may be at risk as it will expose the maggots nest. This only continues to rot the system from the inside. Disgusting.